Do not drink and drive! We cannot emphasise enough on the importance of sober drinking, especially during nights out. -But everyone deserves some good time. So, next time call us instead of being stranded because your designated driver is drunk. Our drivers will pick you up and ensure that you safely move from one nightclub to the other. Nights out are a good way to enjoy yourself and take away stress. It could be just a simple gathering or a full blown gathering. Whichever the case, night outs are meant to be enjoyed. To enjoy your night, it is important to make transport arrangements so that you don’t have to start looking for a taxi in the middle of the night. 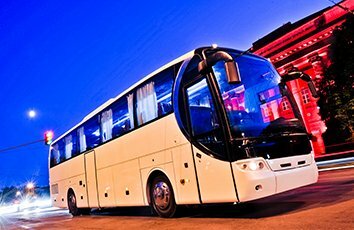 With Ellesmere port minibus hire, you have nothing to worry about. We have in our fleet MPVs and Mini buses that you can hire for your hire. If you want, we can pick up members of your group from different locations and take them to the venue of the night out. Just give us the details and we will meet all your needs. We will in fact be waiting for you once the enjoyment is over. You can have all the fun in the world without thinking about how you will get home. The majority of our vehicles have music and DVD facilities to get make you in the party mood even before you get to the venue of the party. We also have drivers that are not just friendly but also professional. We are here to ensure that you enjoy your night without worrying about anything. Our vehicles are comfortable and well equipped to give you a wonderful evening. Feel free to call or fill our online form. It would be our utmost pleasure to meet all your transportation needs.